If you’re in the market for some excellent hand-made goods (there are no other kind in Japan), head to the area of Kuramae. I initially went to check out the stationery shop Kakimori (they will custom make notebooks for you) but on the second floor of the same building is Pro-Mener leather works. 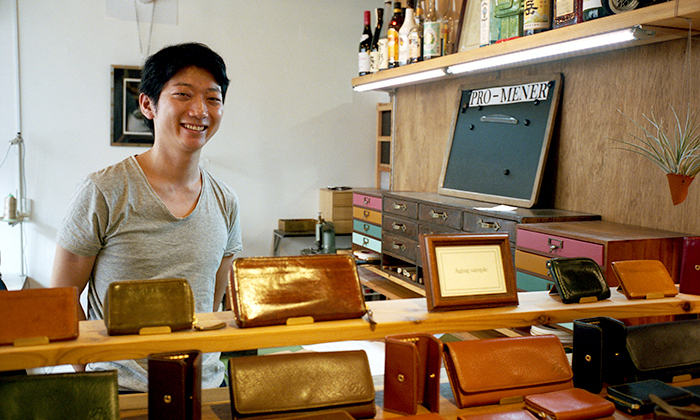 Ikeda-san here sold me a fabulous hand-stitched coin pouch and kindly posed for a portrait.